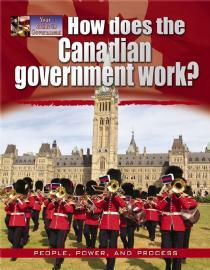 The book provides an engaging introduction on how Canada's parliamentary system of government works. The distinctions between head of state and head of government are explained, while introducing readers to the roles of the monarch, the governor general, the prime minister, and the opposition parties. Parliamentary models of government at the provincial level, as well as in other countries, are also included. How to Teach Art to Children has it all: background information, literature resources, and easy step-by-step directions for 96 art projects. Children learn about the seven elements of art and then use the elements in the styles of famous artists. This beautifully illustrated book is designed to increase children’s awareness of different kinds of art and offer a wide range of activities to experience it. Included are downloadable PDFs of famous works of art that you can print and display in your classroom or home or use to create an art journal for children. How to Teach Art to Children is divided into two sections:Learning About the Elements of Art: The first section introduces the seven basic elements of art: line, shape, color, value, texture, form, and space. A series of art activities allow young artists to experiment with each element.Using the Elements of Art: The second section focuses on famous artists and art experiences. Literature resources and examples of the artists’ work help children learn and appreciate the famous artists’ techniques. Simple step-by-step directions help children apply similar techniques in their own art projects.You don’t have to know a lot about art to teach your children or students using this helpful art book! Art projects are easily adaptable to different ages. This instructional art book includes:-96 art projects with step-by-step directions-Full-color fine art examples-Downloadable PDFs of the fine art examples to display in your classroom or home-Literature references and background information on famous artists to enhance children's art education-A list of materials needed for easy reference-Reproducible templates to help students understand the elements of artArt activities include:-Using clay to learn about form-Creating a collage to learn about warm and cool colors-Using construction paper and tissue paper to create sunflowers in a vase to learn about Vincent van Gogh’s Sunflowers-Creating a paper “story quilt” in the art experience of Faith Ringgold’s quilt paintings-And many more!What’s New? 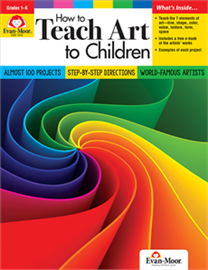 This edition has been updated to make teaching art to children even easier! The art lessons and activities have simple directions for children learning at home or in the classroom. This new edition also includes: ~Additional support for teachers and parents—Pictures of cultural works of art and famous artists’ works make it easy to talk about art forms and artists.~Additional support for students—A downloadable PDF features full-page pictures of cultural works of art and famous artists’ works of art. You simply print and display the art examples.Give children an art education that they will remember with the meaningful activities in How to Teach Art to Children. 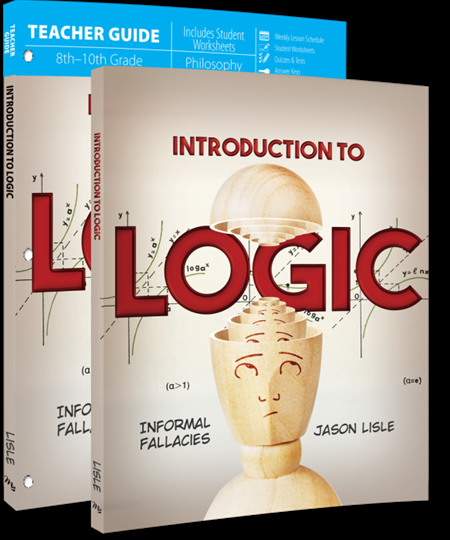 This logic course will both challenge and inspire high school students to be able to defend their faith against atheists and skeptics alike.~A full-year course that will increase a student’s ability to refute the untruths that evolutionists claim as fact.~Includes both a student text and a teacher’s guide with all necessary quizzes and tests.~Teaches methods that are reliable and effective in defending truth. Product DescriptionIrenaeus is remembered for his work in helping the church to preserve the faith handed on by the apostles and to defend it when it was attacked. In this simply written and beautifully illustrated book, Simonetta Carr shows young readers the difficulties the early church faced and how Irenaeus taught Christians to discern truth from error by listening to the Bible. To Christians, the lessons Irenaeus taught are as important today as they were in his time. 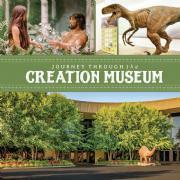 Relive the awe-inspiring experience of touring the Creation Museum. Filled with beautiful photography capturing dozens of spectacular exhibits and vibrant gardens, this book will surely be read time and time again.For those who have never visited this world-class facility dedicated to upholding the authority of Scripture from the very first verse, you can now enjoy the next-best-thing to a visit and see why millions of people consider the Creation Museum a must-see destination.-Discover the true history of our world, beginning with Genesis, and learn how sin has destroyed God’s perfect creation.-Marvel at God’s incredible creatures, and find out how the Bible makes sense of what we observe.-Walk through the Seven C’s of History, beginning with the first Adam and culminating with the Last Adam, Jesus Christ.While skeptics often treat the Bible as a book of primeval myths, Scripture explains our universe’s real history. The Creation Museum shows guests how the scientific evidence from various disciplines is consistent with the Genesis teaching about Creation and the Flood while the secular view of billions of years and evolution are frequently contradicted by observational science.The Creation Museum stands as a testimony to the accuracy and authority of God’s Word. Prepare to believe as you embark on this journey through the Creation Museum. Since the death of her mother, Miyax, an Eskimo girl in Alaska, has been raised by her father, Kapugen, who has been bringing her up in the ways of a traditional Inuit. It is a life based on the rhythms of the natural world.When Miyax is nine, her aunt takes her away from her father to enroll her in an American school. 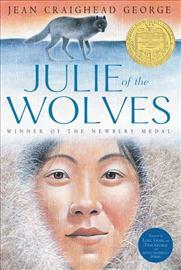 There she is around Americanized Eskimos who call her "Julie," and she starts to believe her former life is a strange one. At 13, she not only finds herself without her family, but unhappily living in an arranged marriage. Desperate to escape, she leaves for San Francisco, the home of her pen pal, but soon Julie becomes lost in the vast Alaskan tundra, with no food or direction. There alone she becomes Miyax again, reverting to the traditional ways of her father, and gradually befriends a pack of wolves, who she names and communicates with, just as her father taught her.But Miyax's life is again complicated when she discovers her father's whereabouts, and finds out that this time it is he who has tragically forsaken the old ways, which have become so crucial to her survival. Learn about Rural Life looks at small communities in North America. The communities live far from big cities and have developed around natural resources. The everyday lives of children and adults in the communities depends on, and focuses on, these resources. Each title first looks in detail at the resource and how people in general use it. Then it locates the featured community; traces its history; and looks at many aspects of everyday life in the village or small town. Finally, each book compares this North American community with other similar communities around the world. 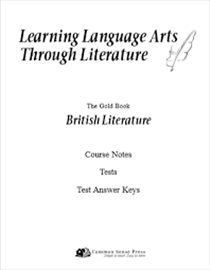 Teacher’s will find this companion to Learning Language Arts Through Literature, The Gold Book – British Literature helpful in assessing a grade for High School transcripts. Included are complete Course Notes for the class that are a summary of what has been taught. These notes can be used as a study guide for the Unit Tests that are included. Also, teacher’s will appreciate the easy-to-use Test Answer Keys. ​Primarily based on dictation, your student will learn all the components of language arts in one easy to use book. A five week Writing Unit prepares students for high school writing and research as well as continued study in prefixes, suffixes, and roots words. 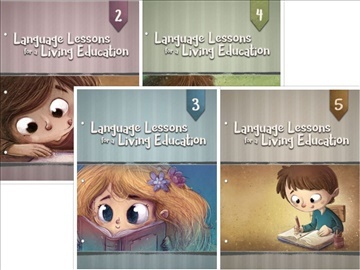 Four Book Studies are designed to expand understanding through various activities involving reading and writing skills. The updated third edition is even easier to use with new lessons and analogies study.-36 weekly lessons divided into daily plans. Teacher friendly, with little or no preparation needed!-Integrated language arts lessons including: grammar, spelling, higher order thinking, and study skills. -Encouraging a love for classical literature, through dictation students learn punctuation, capitalization, parts of speech, grammar, creative writing, and more.-Spelling lists each week from the most Commonly Misspelled Words.-Vocabulary Building exercises bring meaning to vocabulary in context making it useful in everyday language. Continued study of suffixes, prefixes, and root words prepares students for college testing.Four Book Studies (listed in the order they appear):-Daddy-Long-Legs by Jean Webster-A Lantern in Her Hand by Bess Streeter Aldrich-Eric Liddell by Catherine Swift-God's Smuggler by Brother Andrew-A five week Writing Unit prepares students for high school writing and research as well as continued study in prefixes, suffixes, and roots words.-The Skills Index provides an easy skill reference.-Reviews Activities follow each lesson providing additional skill practice.-Assessments help teachers to evaluate student's progress.This Gray Student Activity Book is the perfect companion for the Gray Teacher Book! Everything in one book: student instruction, a place for writing, and a tool for easy record keeping. Allows for more independent work, a BONUS for teachers. The Gray SAB provides Enrichment Activities such as word puzzles, analogies, logic/reasoning activities and more found ONLY in the SAB. (Answers are found in The Teacher Book.) Please note: The Student Activity Book cannot be used independently. Primarily based on dictation, your student will learn all the components of language arts in one easy to use book. A five week Writing Unit prepares students for high school writing and research as well as continued study in prefixes, suffixes, and roots words. 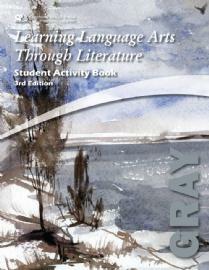 Four Book Studies are designed to expand understanding through various activities involving reading and writing skills. The updated third edition is even easier to use with new lessons and analogies study.-36 weekly lessons divided into daily plans. Teacher friendly, with little or no preparation needed!-Integrated language arts lessons including: grammar, spelling, higher order thinking, and study skills. -Encouraging a love for classical literature, through dictation students learn punctuation, capitalization, parts of speech, grammar, creative writing, and more.-Spelling lists each week from the most Commonly Misspelled Words.-Vocabulary Building exercises bring meaning to vocabulary in context making it useful in everyday language. Continued study of suffixes, prefixes, and root words prepares students for college testing.Four Book Studies (listed in the order they appear):-Daddy-Long-Legs by Jean Webster-A Lantern in Her Hand by Bess Streeter Aldrich-Eric Liddell by Catherine Swift-God's Smuggler by Brother Andrew-A five week Writing Unit prepares students for high school writing and research as well as continued study in prefixes, suffixes, and roots words.-The Skills Index provides an easy skill reference.-Reviews Activities follow each lesson providing additional skill practice.-Assessments help teachers to evaluate student's progress.The Gray Student Activity Book is the perfect companion for the Gray Teacher Book! Everything in one book: student instruction, a place for writing, and a tool for easy record keeping. Allows for more independent work, a BONUS for teachers. The Gray SAB provides Enrichment Activities such as word puzzles, analogies, logic/reasoning activities and more found ONLY in the SAB. (Answers are found in The Teacher Book.) Please note: The Student Activity Book cannot be used independently.